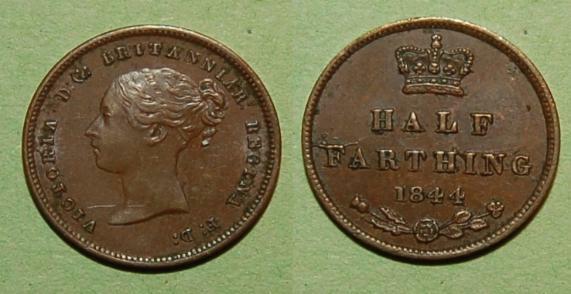 reverse contains the words "HALF FARTHING"
the date and a rose below the date. Proofs were also stuck in bronze. Copper, 2.4 grams, 18mm Diameter.